Certainly beats being stuck in rush hour. Looking into the future can be fun for a number of reasons, one of which is so we can imagine a world where there are no cars, currency, and we're all being transported around in tiny pods. 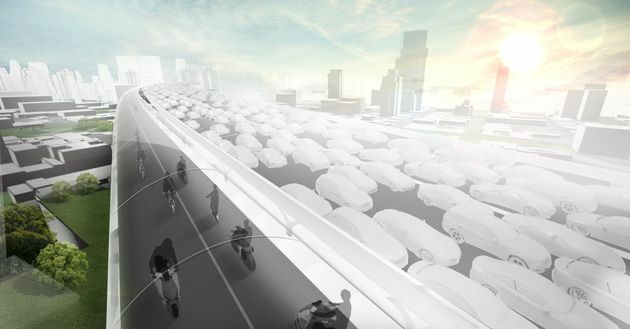 BMW's vision of the future is perhaps a little more realistic than that and sees a world where instead of being transported in tiny pods we're actually all driving electric bikes along huge citywide tubes suspended in the air. 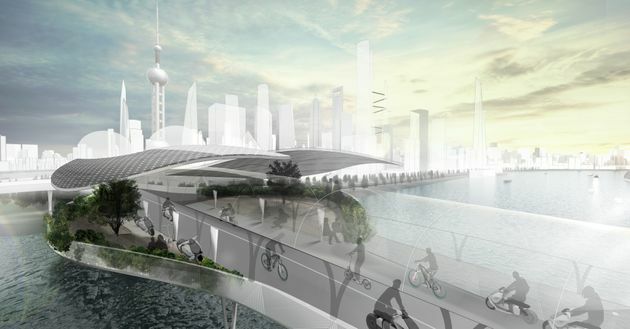 Developed by BMW's Group Technology office in China, the Vision E3 Way is a concept that imagines cities being covered in these transparent superhighways. Inside citizens can easily zip around from A to B using BMW's electric scooters, or bikes. 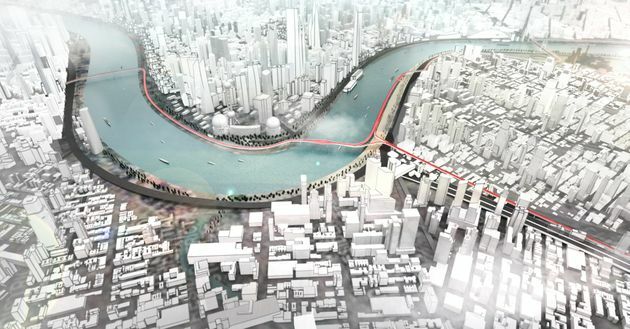 As if to hammer the point home, the concept art rather smugly shows BMW's utopian vision next to the crowded streets of today suggesting that rather than replacing modern roads these new cycle routes would run alongside them. While it might look like BMW is just solving a congestion issue by creating more congestion it's actually a pretty realistic view of how our cities are evolving. In China in particular more than a billion people are expected to be living in cities by 2050 and as cities grow the limited space will require some pretty intuitive thinking in order to get everyone to where they want to go. "The BMW Vision E³ Way opens up a whole new dimension of mobility in overcrowded conurbations – efficient, convenient and safe. It works by simply creating space for two-wheel zero-emissions traffic," explains Dr. Markus Seidel, Director BMW Group Technology Office China. The highways would all have an automated speed limit of 25km/h, avoiding the presence of road rage and making sure that traffic moves smoothly. BMW also envisages a rental scheme similar to London's own cycle hire scheme for those that aren't blessed with owning an electric bike or scooter. While this is clearly just a concept, the idea of giving low-emissions vehicles the priority is something most major cities are slowly but surely moving towards anyway. London already has a network of cycling 'highways' which allow cyclists a number of easy and safe routes throughout the city that are mostly protected from car congestion.